Hopelessly Devoted Bibliophile: Looking ahead with Ade from Future Imperfect! Looking ahead with Ade from Future Imperfect! 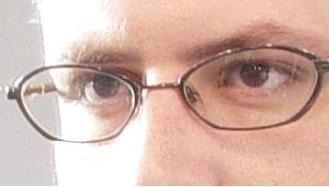 Those eyes right there belong to K. Ryer Breese, author of Future Imperfect. Don't have this book on your radar yet? Check the end of this post for a synopsis, and to add it to your reading list. K. Ryer Breese is here today with his main character Ade, who wants to share a little bit about the book with you! Let's take a journey into Ade's head shall we? 1) Hey Ade, thanks for coming by. To start let's do something fun. What color would you choose to describe you, and why? Definitely neon blue. The old me would say it's because when you get a concussion, when your optic nerves bounce, you see some gnarly stuff. Like really bold stuff. But the new me would say because it reminds me of the future. Neon blue just looks limitless. 2) I know you already share the first time you had one of your visions with us, but what would you say was the most memorable time? Was it the vision itself or the instance in which it happened? It's hard to say. For a long time the visions were only a means to an end. A vehicle for my getting high. My mom's got them all written down, charted out on index cards. Her cataloging the future. I recently looked over all those cards and saw one about me being in my eighties and throwing myself out of my wheelchair and down a flight of stairs. No idea what that was about, but it seems pretty memorable. 3) Can you try to describe the high you get from the visions? I know that's what keeps you coming back. It wasn't that way at first but the Buzz is strong. It's overpowering. The old me, the me in the book, would tell you that having a vision was the closest thing to touching the face of God. Junkie talk. Imagine the best day you've ever had stuck on repeat and then crammed into about three minutes. There is nothing like the Buzz. Well, that's what I used to think. . .
4) Quick, you can only use 5 words to describe Vauxhall. Go! My reason for being here. 5) Paige seems to be your rock, of sorts. Do you think she was fated to be your friend? Nowadays, I feel terrible about what I put Paige through. The way I made her suffer. Paige is the strongest person I've ever met but she can also be the weakest. Tending to me is her crutch. Her excuse to not go out a take over the world. 6) Now that everything is said and done, what are your hopes for the future? To actually have a future. But you'll have to wait for the next book to understand why. 7) To end, is there anything you'd like to say to your readers looking at Future Imperfect? I'd love for them to think of it as a journey. Where we start and where we end up are almost incidental to what happens along the way. And what happens isn't always pretty. Bring an iron stomach, a sense of humor, and remember one thing: this story isn't about my addiction, it's about yours. Ade Patience can see the future and it's destroying his life. 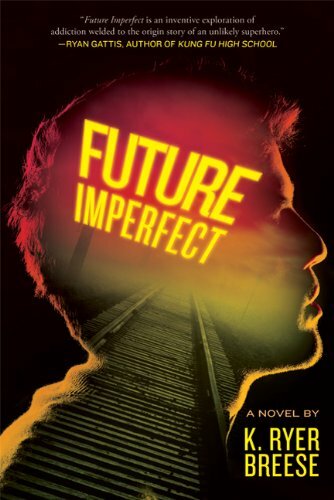 When the seventeen-year-old Mantlo High School student knocks himself unconscious, he can see days and decades into his own future. Ade's the best of Denver's "divination" underground and eager to join the heralded Mantlo Diviners, a group of similarly enabled teens. Yet, unlike the Diviners, Ade Patience doesn't see the future out of curiosity or good will; Ade gives himself concussions because he's addicted to the high, the Buzz, he gets when he breaks the laws of physics. And while there have been visions he's wanted to change, Ade knows the Rule: You can't change the future, no matter how hard you try. Frank Cole's Top 10 Books of all time! Alex Sanchez - Books from his past! Spring Fever Swap - Sign Up! Odessa: The Seraphym Wars - Teaser & Giveaway! 4/18 in case you missed it! Talking cliques, with Amy Holder! This or That? with Angie Smibert! Are you ready for iClue?